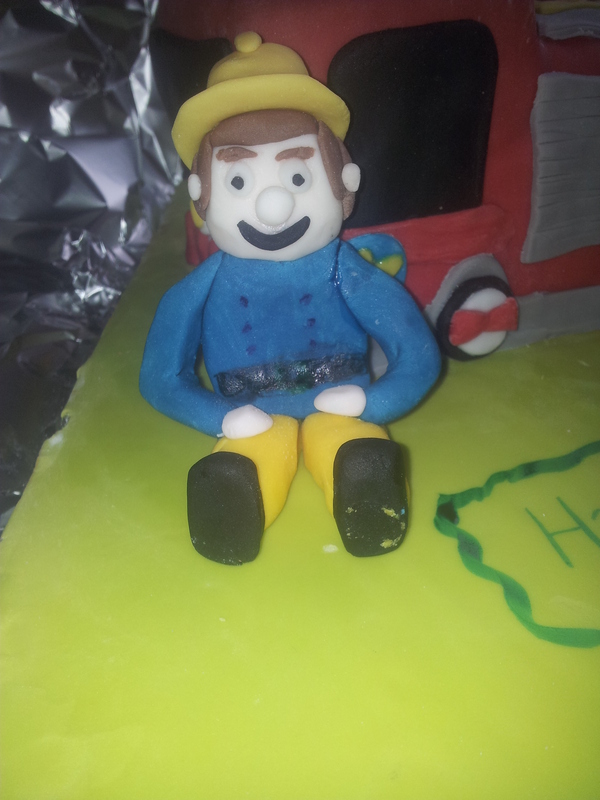 So the father retired from working at the local council end of February after 30+years, so it was inevitable to use this excuse to try some modelling with sugarpaste. What i had in mind looked great! Dad sat on sofa with a newspaper and cup of tea on table (he is like the hubby cuppa tea guzzler, i on the other hand am not, previous post on this ). So i started making the sofa Wednesday night, all went well and it looked like a sofa, great! Next came building the father. I sat and thought how to do it, i wish i thought more on this! I done his legs first and glued them to the sofa, next the body and arms, glued together. Then the head, eyes and hair. Went back to glue his arms back on as they fell off. Stood his body upright, head intact and went to put it onto his legs that were on the sofa. ‘Oh’ his head fell off along with his arms again…So out came a plate the sofa was put on it, along with his legs that were still glued to it. body laid down on the plate with head glued on and arms. They stayed there until Saturday when it came to making the cake. I got them out the fridge. ‘Oh’ his head falls off along with an arm. I stand wondering how people do it. I refuse to google, i can do this, i can work it out without having to look at how professionals do it. They all go back in the fridge to harden up again. The cake was made and icing rolled on top. 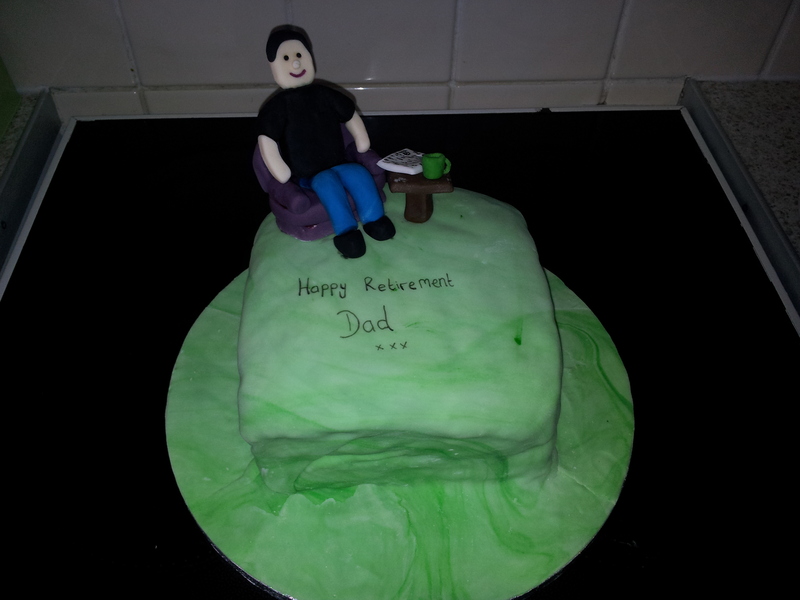 This left to stand overnight, as i wasn’t sure how long dad sitting on the sofa would last on top of the cake. Sunday morning, smile on my face, it’s got to be hard and stuck together by now! 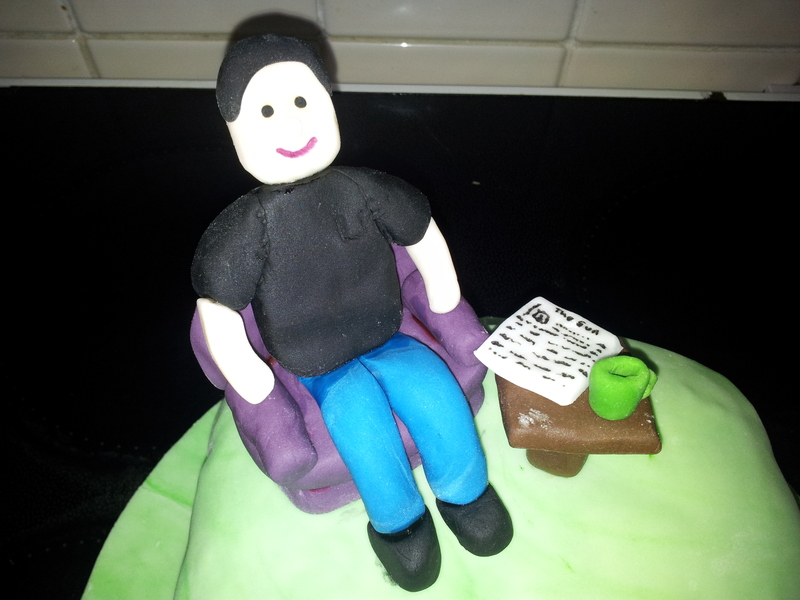 I place the sofa onto the cake and carefully put the body onto the legs. He has survived!! ‘Duff,’ he is headless again! So i make a little circle pillow stick it behind dad and pop a cocktail stick in, stick the head back on and let the stick keep it up. Quick to the parents house (40min drive) before he becomes headless again! What have i learnt this time around? To google how to make them and how to get them to go hard and stay hard, as i found the sugarpaste went soft again after a couple of hours out the fridge! I also learnt something else. Make the head and body round, rather than thin rectangles. 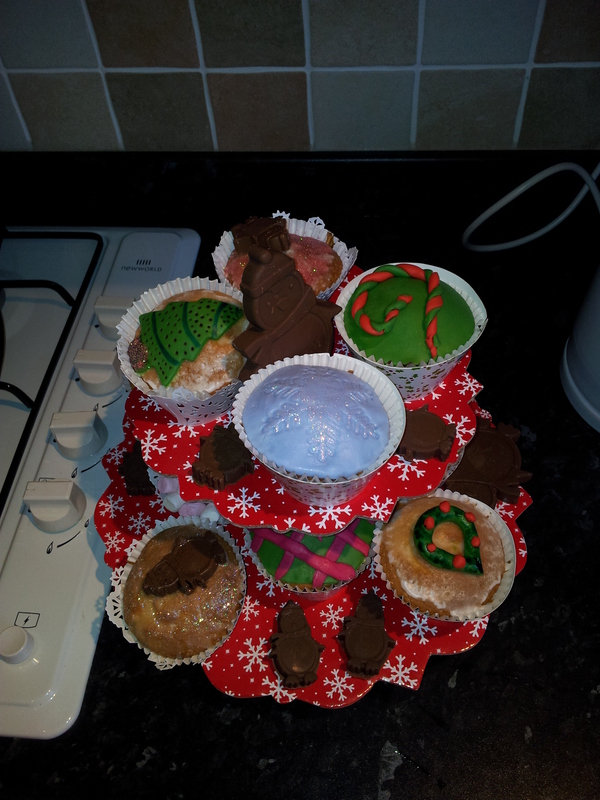 In December I found a shop on facebook, Baked by me i saw a friend had liked it and it looked good, so off i went for a look. An hour later i was still umming and ahhing over which moulds to buy, i wanted them all! Within that hour, i looked around their site. There was some fabulous stuff. Cookie mixes in lovely glass jars perfect for birthday/mothers day presents. Tea sets, cake stand and many more kitchen items that can excitement any woman, wife and mother! 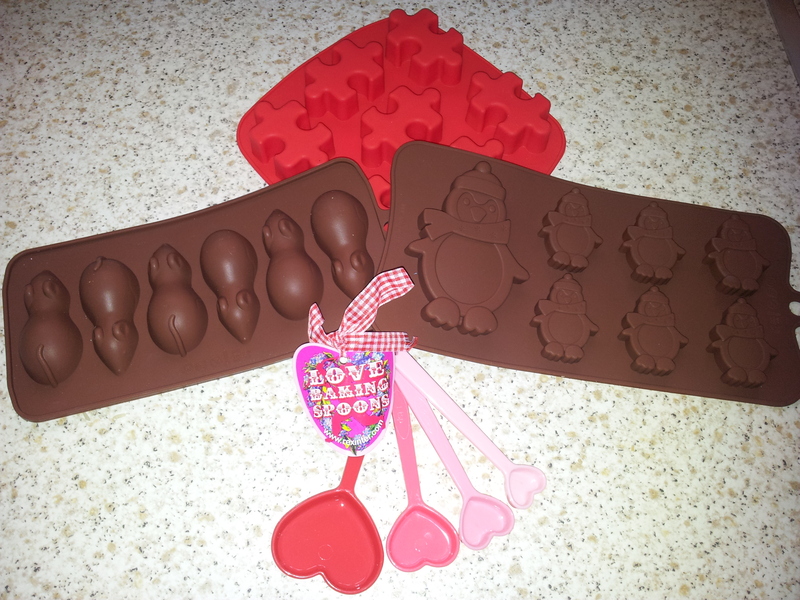 I finally decided on 3 moulds a jigsaw one, mice one and penguin one, latter to use over the Christmas holidays. Something else jumped into the basket too, i couldn’t resist the heart shaped measuring spoons! This snowy weekend we had a joint birthday for Thomas and Jessica at softplay followed by a little tea party at my parents house. The kids loved softplay, Jess was in the over 3’s part most of the time, now that she’s 2 she can conquer anything. She even claimed the car that needs coins in to ride as hers. I never once put money in, why play on that when you have softplay in front of you? Jess spent a good 15minutes with me stood there trying my hardest to get her to get out and enjoy other things. Each time a child came over the dirty look was ready and the word ‘No’ were well rehearsed, she had a kong fu kick ready if a children even dreamt of touching inside the car. She did share every now and again, when maybe she realised she wouldn’t win the claiming in this place. So after softplay it was time for the tea party. Thomas and Amy love them, mostly because this is when they see the party rings out ready to munch them all up. 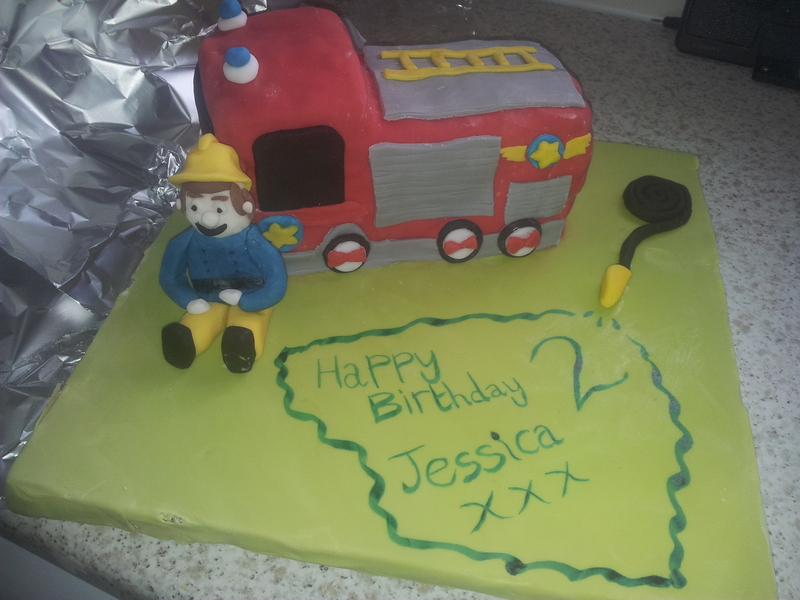 With it being a joint one i decided a simple cake would be good, bearing in mind Jess had her Fireman Bob cake 4 days before and Thomas will be getting his Lego cake 5 days after. Ready to make the 40 min drive to my parents and soft play, can you guess what it is? It was a bit of a rushed job this time, her birthday seemed to come by a click of the fingers. I forget just how close after the Christmas rush it is. 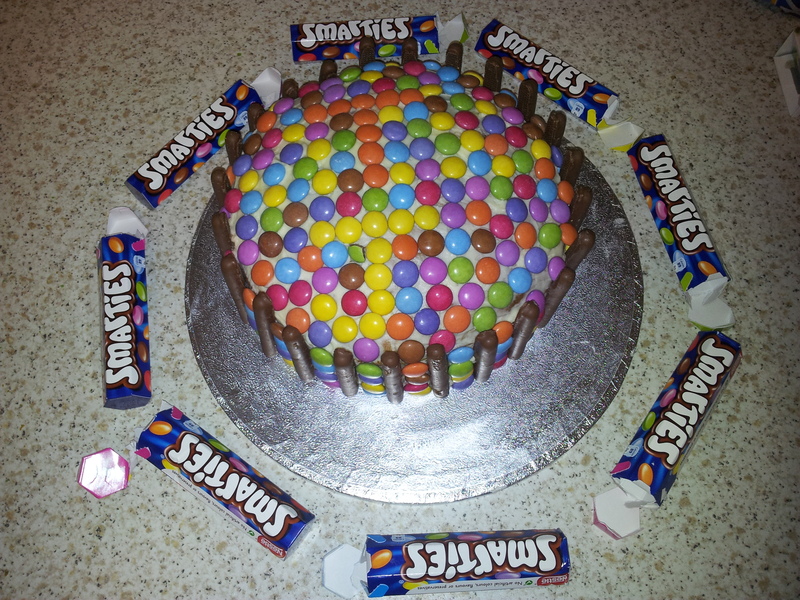 Bearing in mind i am no professional i just enjoy doing it, so that’s why i do the birthday cakes myself instead of shop bought. I must start it today for Jessicas birthday tomorrow eek!! It just seems a bit of a faff on, and i’m scared it will all go wrong lol. Have looked at loads on google images and looked at some videos on youtube but most are not what i want. Why does she have to like Fireman Sam, couldn’t she just like flowers? That would be a pretty easy one to do on cakes. After this i have a lego one to do for 24th for Thomas. Will be sick of looking at cakes soon! So much for this diet with all these cakes! 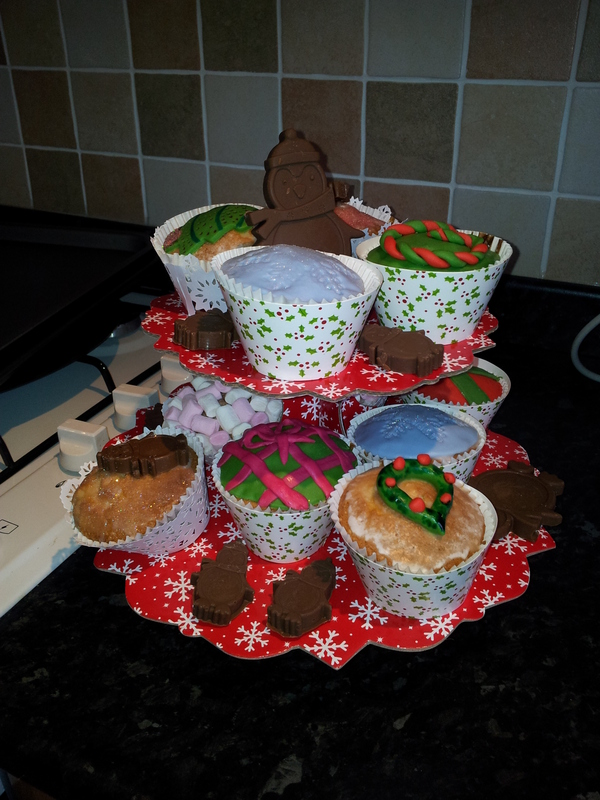 Not forgetting a more simple one for the weekend for the kids joint little tea party at my parents. 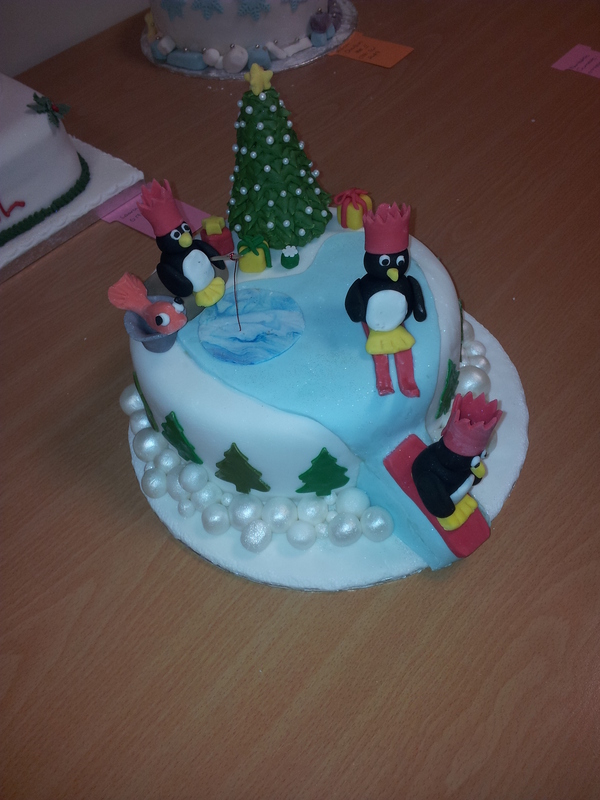 Finished the decorating of the Christmas cake yesterday, it was forced (more or less, after lots of ‘put it in, nothing to lose’ ) into the competition! No way will it win, there are some fabulous cakes there! One actually made me ‘Wow’ out loud, this lady used to do them professionally so you can imagine how good it was. Competition Monday at 10am. Got asked if i was going along, but will have Jess and Amy with me, so no way could i go to a cake competition with them 2. 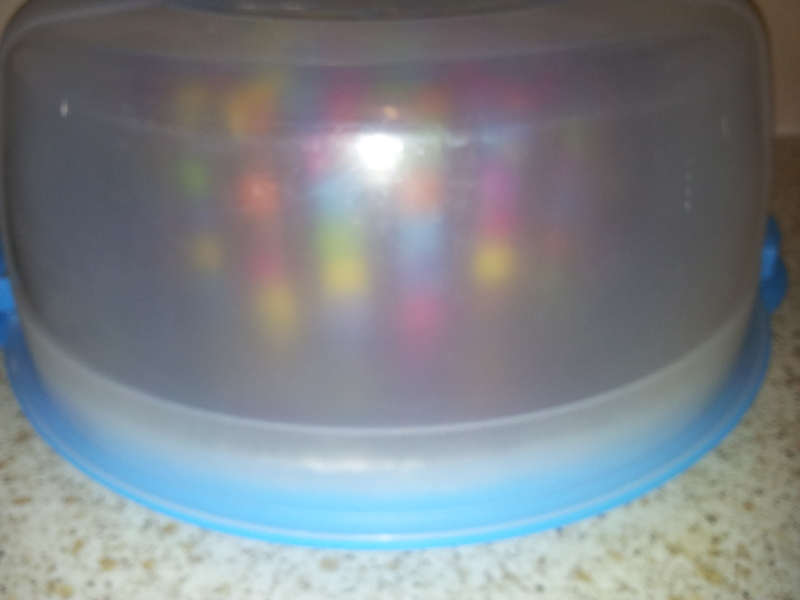 Then i get to collect my cake once that has finished. My dad will be the proud owner of the cake, as it’s fruit cake. Urk, i don’t like it and neither does hubby nor the kids. Dad does though. So i guess you want pictures now? Don’t expect anything of professional level please, because you will be so disappointed. Will get better pictures once it’s home. Last session for my Christmas decorating course. Can’t believe i’ve had 3 already and 1 left. 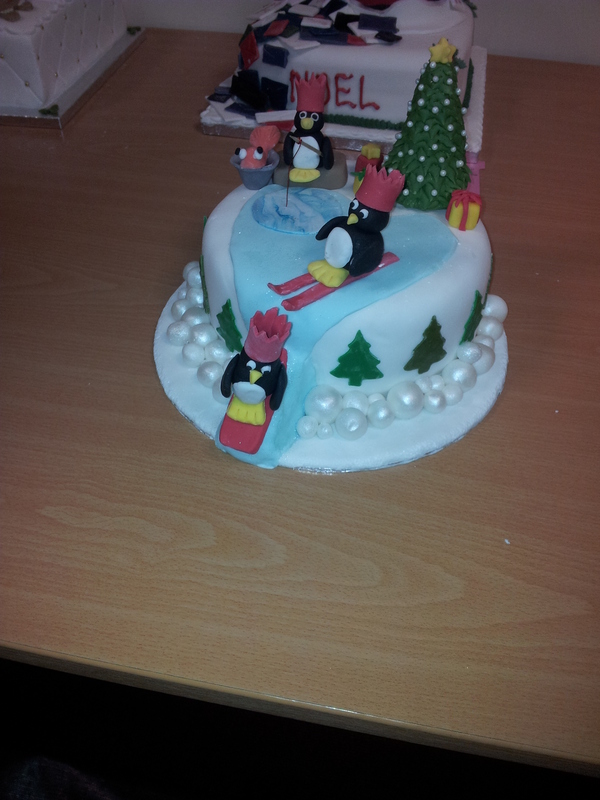 In 3 sessions i have, iced the cake and board, made 3 penguins, 2 skating and 1 fishing. 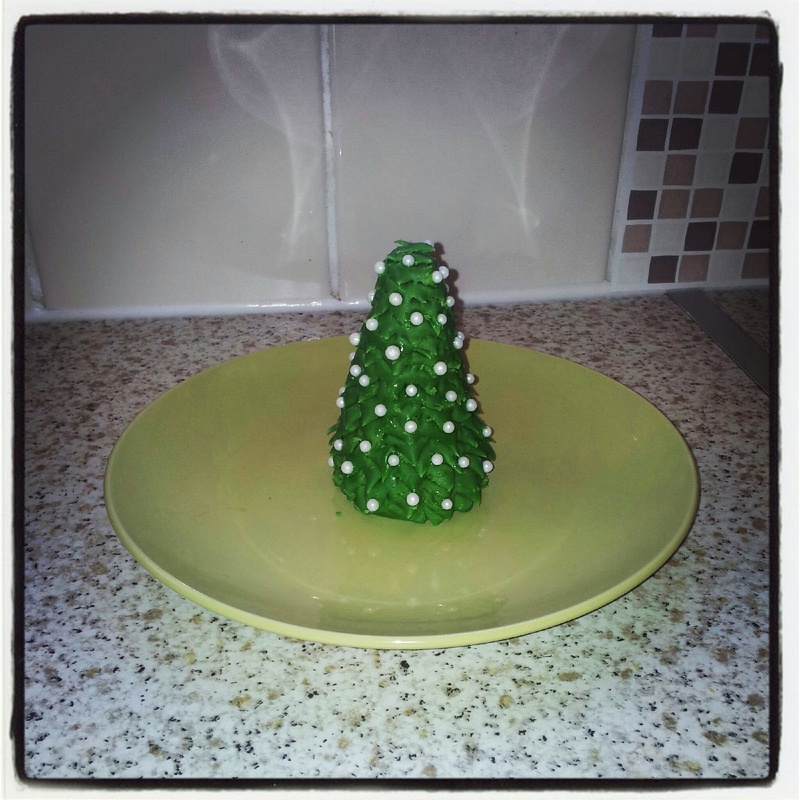 That’s all, so i decided to do some things at home today, this morning i made a wonky Christmas tree. Couldn’t get it standing straight so it’s now staying wonky. Baubles are on it and it’s in the kitchen waiting for it to get a bit hard. What i never thought of, was how i get it to there. I’m driving and the roads i go down have a few tight bends and corners to turn. I can’t hold it, so it’s going to sit on the passenger seat of the car and hope it doesn’t squash itself. I have googled for more ideas to add, but not sure i can do them here without the cake as need to know how much room i’ll have left. So i now have a list of a few things i need to add to the cake while there, with only hour and half to do them all and finish off the cake. Should be fun, trying to be quick. Took me 40mins to do the wonky Christmas tree! My list includes: Igloo, snowballs (easy enough! ), Happy Christmas sign of some sort and a snowman. Sounds doable on paper, but it takes me 30 mins to get into making stuff. For the first 10 mins i have more or less stood there, blank, waiting for my brain to catch me back up, or stood making a colour of sugarpaste i then decide not to use in the end and waste 10 mins trying to create the colour. Here’s the picture of the 40 min Christmas tree…looks like a quick 2min jobby lol. Looking at the picture again, i realise i need a star making still. So new name; starless, wonky Christmas tree.